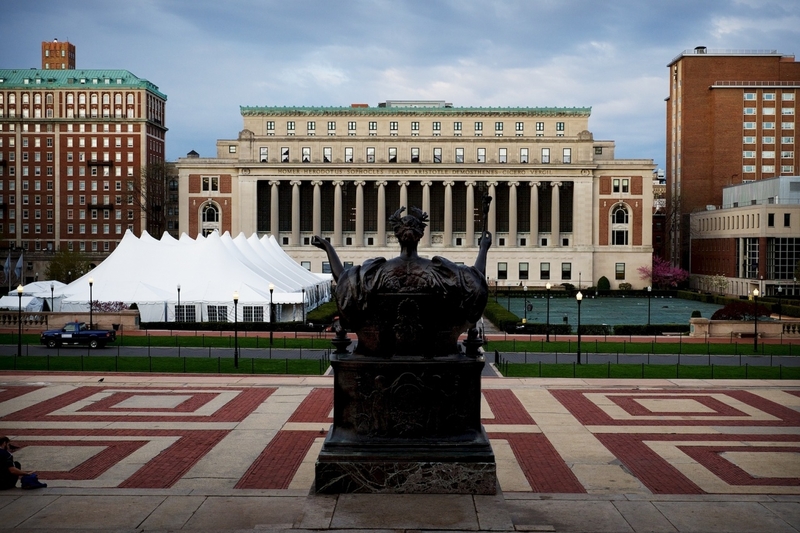 This is a very common composition of some of the most important landmarks of the Columbia University campus. Butler Library, straight ahead with the columns, is the main library for the university. The fields in front of that are generally kept clear. I believe the tent here was up in anticipation of graduation ceremonies last Spring. Once upon a time they were actively used athletic fields, and there is a famous image of Lou Gehrig batting during his time at Columbia before he joined the Yankees. * Low Library, which is not pictured, does not function as a library at all. It was originally slated to be the main campus library but it turned out it was not structurally capable of supporting the collection. Or so I was consistently told while I attended. That seems dubious to me but I’ve no desire to bust this particular myth.